PGA Professionals dedicated to serving the south Florida community and changing lives through the game of golf. The South Florida PGA Foundation is a not-for-profit organization founded to support the South Florida community, with a focus on junior golf, education and scholarships, and charitable gifting. The South Florida PGA Foundation falls under the direction of the South Florida PGA, a not-for-profit organization comprised of over 1,850 men and women PGA Professionals serving as the experts in business and the game of golf. In 2004 the South Florida PGA Foundation began operations as a 501(c)3 non-profit organization founded to support the South Florida community. Since its inception, the Foundation has experienced extreme growth through the support of countless PGA Professionals, facilities, and numerous corporations. Over the past thirteen years the Foundation has touched the lives of more than 12,000 individuals residing in South Florida, through various programming included but not limited to junior golf, charitable gifting, and scholarships. 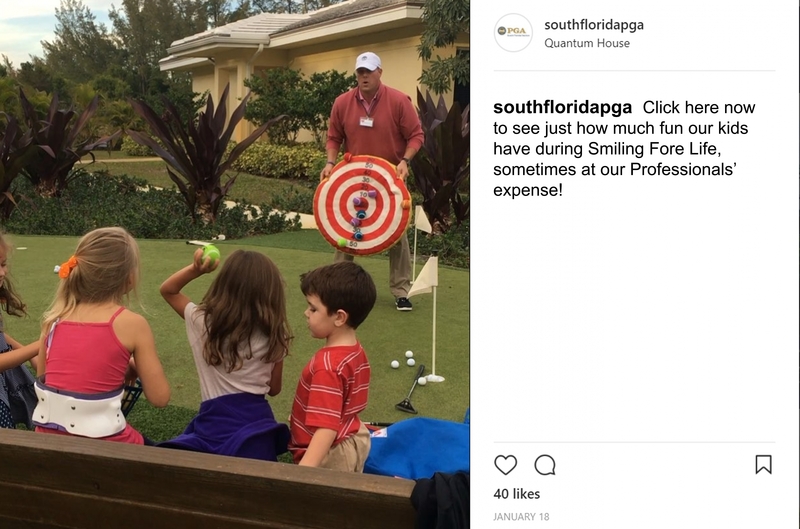 Administering numerous programs including but not limited to the South Florida PGA Junior Tours, PGA HOPE, Smiling Fore Life and many more, the SFPGA Foundation strives each year to make a greater impact on the community. You can stay up to date on our involvement throughout south Florida and read about what we do, in our 2018 SFPGA Foundation Annual Report, click below now! Check out our YouTube Channel to hear more stories about our PGA Professionals, and the impact they have made on the communities near them. Founded in 2004, the South Florida PGA Foundation is dedicated to impacting lives throughout the south Florida community through the game of golf. Since its inception, the Foundation has grown 450%, granting more than $650,000 to local charities, local students and individuals conducting outreach programs. Each year the reach of the Foundation continues to grow, as programs develop and junior golf activities expand. In 2018, the SFPGA Foundation granted eleven local charitable organizations over $17,500 towards their efforts of providing golf throughout their community, seeking to bring positive change. You can see the charities donated to below and click each one to learn more about their organization. 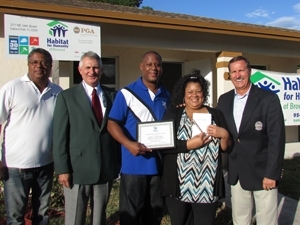 In 2011, the South Florida PGA Foundation Board of Directors made a decision to support Habitat for Humanity as a national organization providing affordable housing to local families. 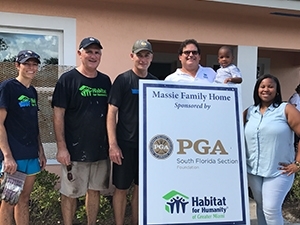 With the mission to support Habitat for Humanity, the board developed a goal to build a home through Habitat for Humanity in every county of the South Florida PGA Section. This encompasses 14 counties plus Puerto Rico. 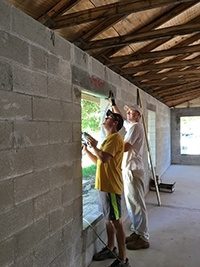 With the commitment comes a financial gift of $50,000 per home, along with volunteers to help build the home. 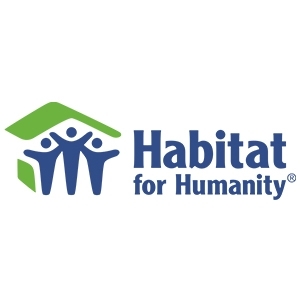 Once all 15 homes have been built the Foundation will have granted $800,000 to Habitat for Humanity throughout south Florida and more than 15,000 volunteer hours. 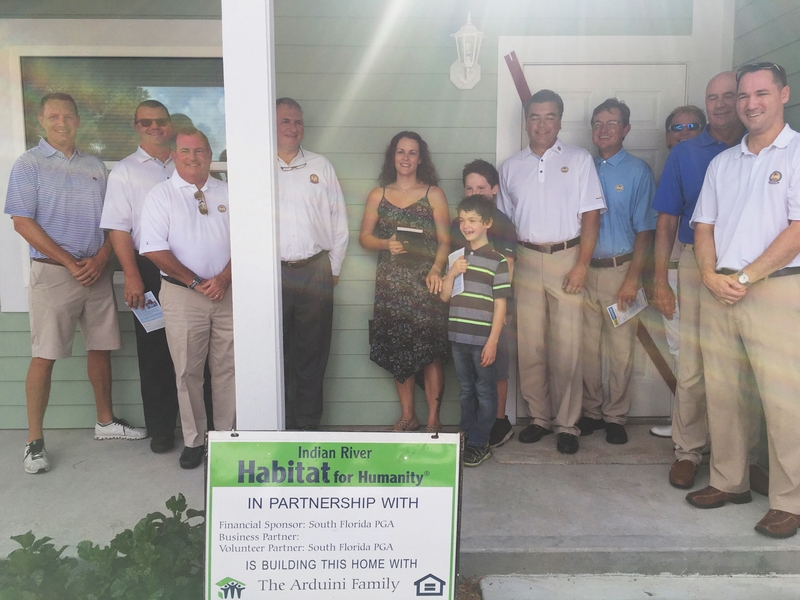 Click below to view an additional news story about how golf pros are impacting the local community through outreach programs including Habitat for Humanity. 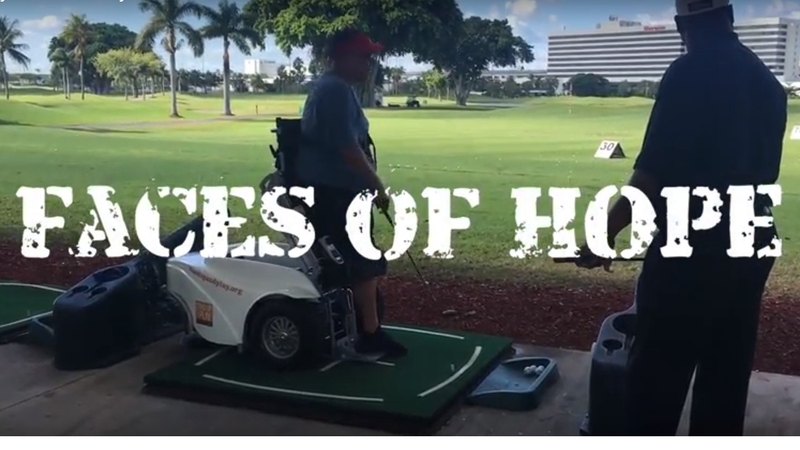 New in 2015, PGA Hope is a program designed to provide local military veterans with an opportunity to learn the game of golf as form of rehab from local PGA Professionals. 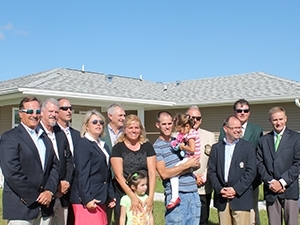 PGA HOPE provides golf as a therapeutic rehabilitation tool for all military Veterans. The lifetime sport of golf has proven to be an excellent outlet for activity and competition but also allows military to assimilate back into their community through the social interaction the game provides. Click on the image above for more information on how you participate in our Push Up Challenge! Click on the images below for more information concerning our life-changing program. 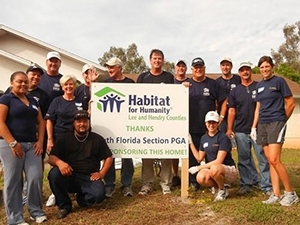 "The PGA HOPE Program has been beneficial to so many veterans and in so many ways. Many veterans question their ability to participate when referred to recreation therapy for this program, but after a few minutes of involvement I see their fears and apprehensions disappear. Being a recreation therapist for 32 years, I know the benefits of sports and recreation. It is when a veteran sees the benefit of participating that changes their lives. This program allows veterans an opportunity to work with one another with the built in camaraderie they share in a community environment. Getting out of the house, interacting with others and learning or re-learning a leisure skill can change a veteran’s whole outlook on things and break a cycle of isolation, boredom, low self-esteem and inactivity. Not only are there so many physical benefits, but the psychological and emotional ones are key to many. 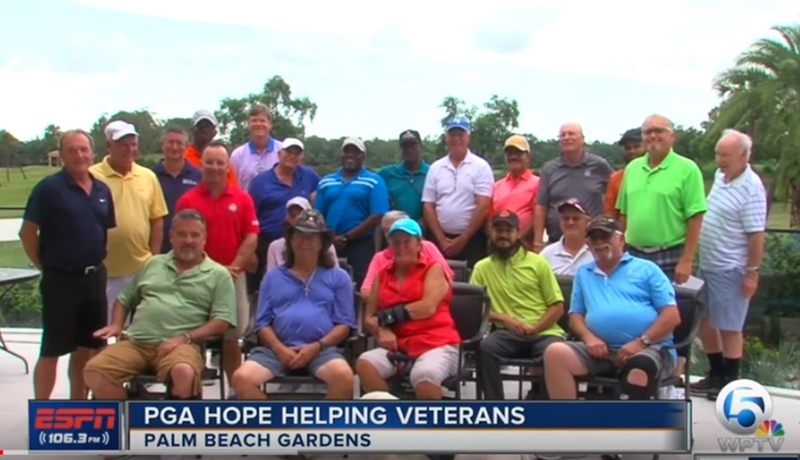 The natural environment of a golf course and the caring and compassionate PGA instructors who interact with the veterans each week provides therapy to these veterans on many levels. I’m fortunate to partner with such an organization in fulfilling the needs of our disabled veterans." 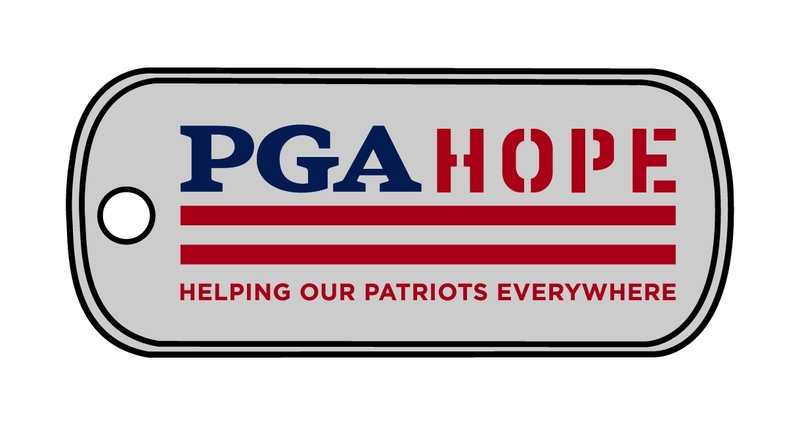 One of the purposes of PGA HOPE is to inspire a lifelong interest in golf for our participating veterans. To foster growth in their new skills and love for the game, we coordinate with local PGA Professionals to provide extra golfing opportunties to our participating and graduated veterans. We plan to list some of these opportunites here below once we organize all of the information provided. - Click here for the flyer listing how to participate. 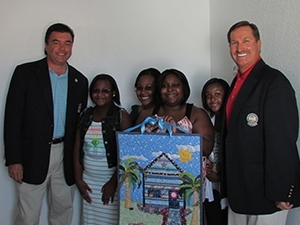 In 2010, The South Florida PGA Foundation created Smiling Fore Life, a program whereby SFPGA Professionals visit local children’s hospitals weekly. 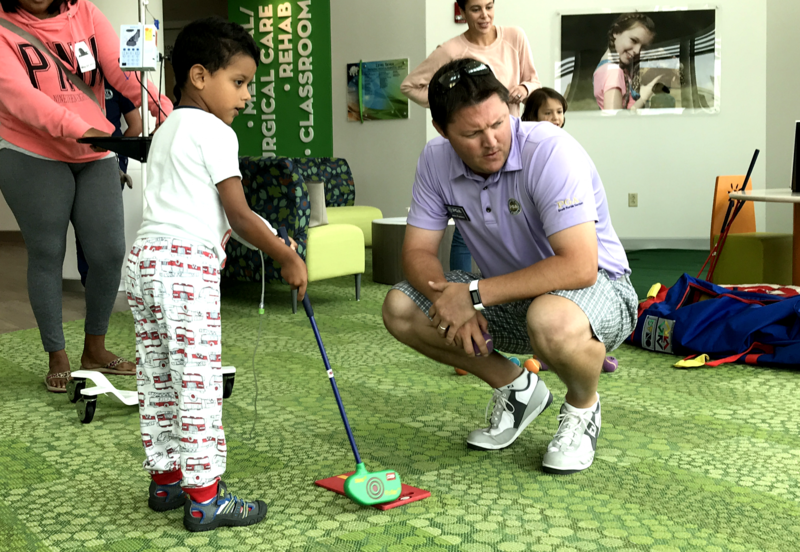 The PGA Professionals bring golf into children’s lives who may be experiencing hardship, and afford them with an opportunity to forget about the struggles they are experiencing, get out of their hospital room and enjoy a fun and new activity. 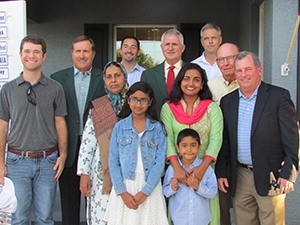 In addition to the great benefits this program provides to the children it also affords SFPGA Professionals the opportunity to get more involved in the local community. Currently four hospitals and one children’s healthcare facility are participating in this program, Joe DiMaggio Children’s Hospital in Hollywood, the Children’s Hospital at St. Mary’s Medical Center in West Palm Beach, Golisano Children’s Hospital of SW Florida in Fort Myers, the Quantum House in West Palm Beach, and Nicklaus Children’s Hospital in Miami. After six years this program has experienced much growth and success, and impacts more than 1,100 young patients annually. In addition to not just providing golf to the patients, in September of 2012 a permanent mark was left at Joe DiMaggio Children’s Hospital with the installation of an astroturf putting green on the facility’s fourth floor. This installation was a “hole in one” with the patients and physicians, said Nick Masi, Director of Family Centered Care at Joe DiMaggio Children’s Hospital. 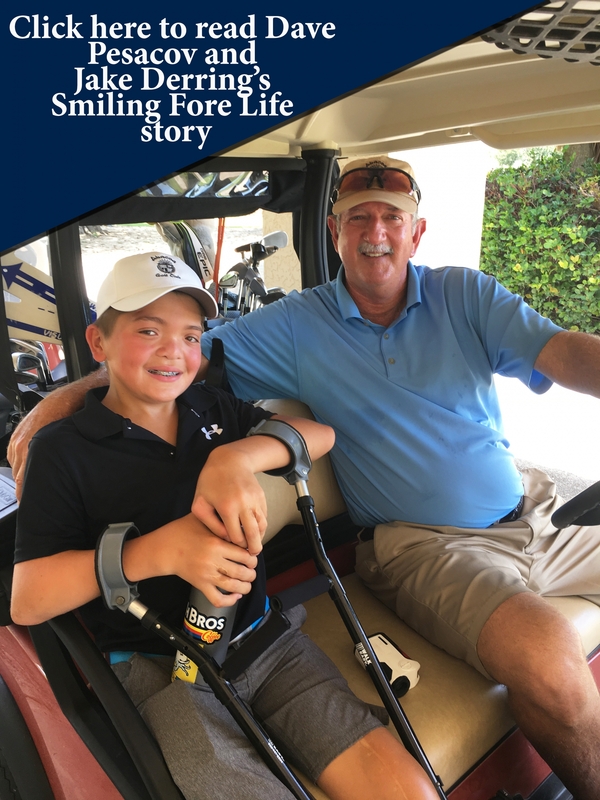 For more stories on Smiling Fore Life & the positive impact it's made on the PGA Professionals that teach and the children participating click below! Developed in 2018 the South Florida PGA Foundation annually provides one local student with a four year, $20,000 scholarship to assist with their college education. The student selected to receive the scholarship will receive it in $5,000 increments over the course of four years. In order to receive funding each year, additional paperwork including a copy of the student’s transcript must be submitted to the SFPGA Foundation to ensure the student is performing at an acceptable level. For further information, please click here now.